It is best fished in the winter on Sinking Lines. Retrieving gently and pausing to allow the Booby to pop up off the bottom. It contains a foam back as well as foam eyes and therefore rises on a level plane and much quicker than a normal Booby. This enables trout to see more of its irresistible movement. In the warmer months fish it on or just below the surface with a faster retrieve and the fish will pounce on it! It's shape prevents it from spinning like the normal Booby and is therefore is ideal for pulling in competitions without kinking your leader. Tail : Mararbou White with pearl crystal hair. 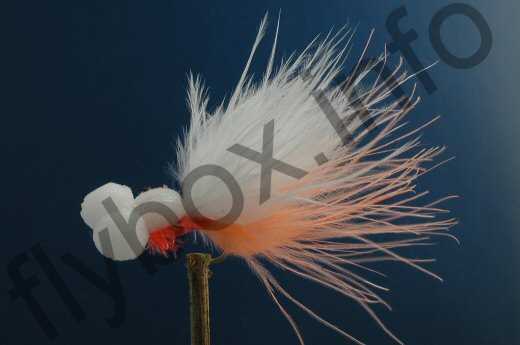 Currently there are no comments about the Shellback Booby Orange fly pattern from other fly fishermen yet.